Thank you for your contributions to Mark2Cure! We’ll review the amazing things you’ve done next week. For now, we wish you and your family a happy, healthy, and very merry X-mas holiday. 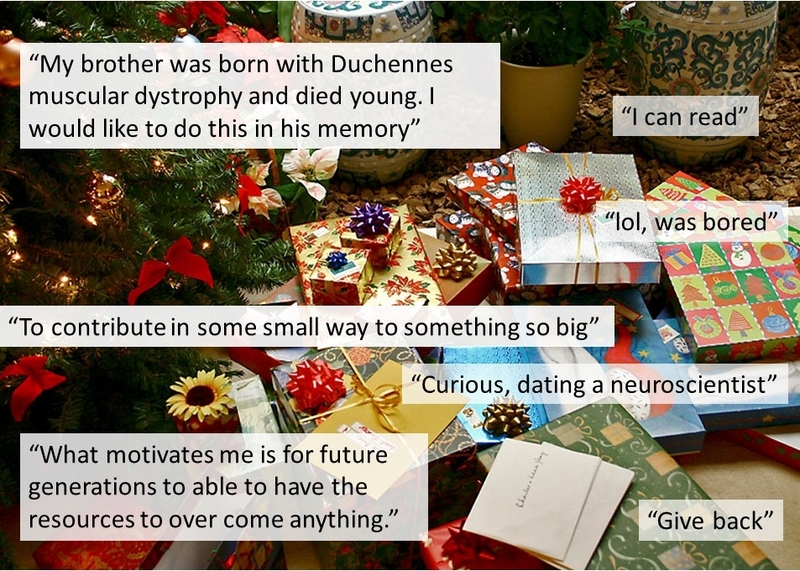 No matter your reasons or motivations, your presence in Mark2Cure is the best present this holiday season. PS- Thank you for the awesome present—finishing the Eeyarestatin doc set just in time for today. There are still two more available if you’re feeling bored or generous.